Kevin SAUNDERSON/VARIOUS In The House vinyl at Juno Records. 1. The Soulshapes - "Comin"
10. Alex Kenji - "Those Good Vibes"
11. Adam Port - "The American Dream"
8. 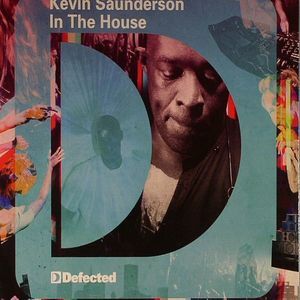 Kweku Saunderson - "Innuendo"
9. Gabriel Rocha - "Forever & Day"
Given Kevin Saunderson's status as one of electronic music's all-round legends, it was probably inevitable that he would, at some point, be asked to mix an installment in Defected's long-running In The House series. Since Saunderson isn't a regular on the mix CD circuit, this is something of a rare treat. For the most part, it's a highly enjoyable journey, with Saunderson slickly moving between deeper, melodic fare, tougher, drum-laden percussion workouts, jaunty Latin and Afro-house and, of course, tracky, funk-infused techno, all the while retaining a strong element of soul. 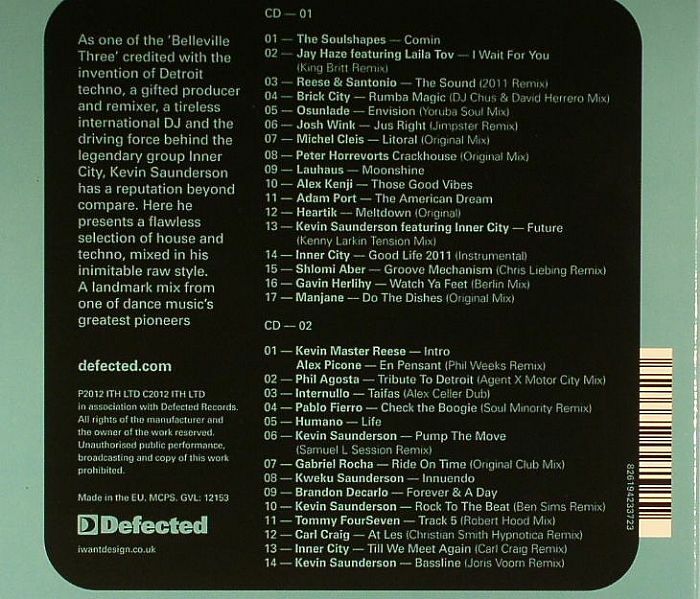 There's also a smattering of Saunderson's own productions, including a piano-laden 2011 version of "Good Life".